Find hotel near Chiesa Santa Maria Dei Gr ..
Perched on the hill of Girgenti is this pious place of devotion. 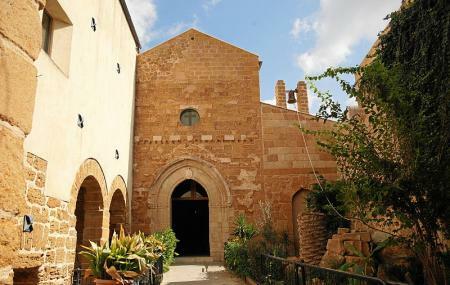 The Chiesa di Santa Maria deiGreci was first built as the temple of Athena or Zeus Atabirios in the 1200s. Thus, the strong presence of Greek architecture can be seen. What started off as a Greek temple is now a church. It is the perfect example of religion through different civilizations. It is blissful and interesting to walk along the church and see the Greek pillars lined up on both sides. Some part of the floor of inside the church is covered with glass, and you can see the original temple floor. Still holding the structure of the old art, it is a great amalgamation of the best of both worlds. How popular is Chiesa Santa Maria Dei Greci? People normally club together Ruins Of The Old Town and Teatro Di Pirandello while planning their visit to Chiesa Santa Maria Dei Greci. People also prefer to start their day with Chiesa Santa Maria Dei Greci. Interesting old church on the top of Agrigento. Church growth in the earth and you can see down level down your feet. A historic place. The volunteers were wonderful. Thanks for sharing this peice of history with us and keeping it clean, well preserved and rubbish free. Old temple church. Temple fundations can be seen.